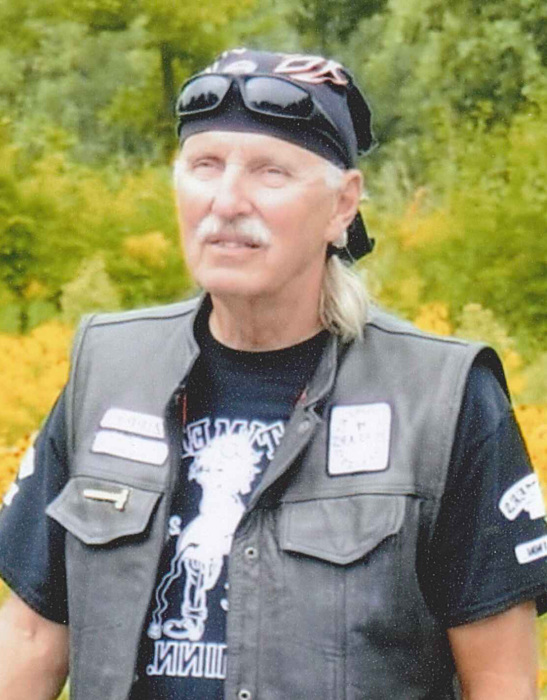 Age 74, of Linwood Township, passed away unexpectedly on August 27, 2018. Jerry would lend a hand to anyone, could fix just about anything and created beautiful woodworking pieces. He loved spending time with family friends and riding with his Brothers of the Ol’ Timers MC. Retired member of Linwood Volunteer Fire Department. Preceded in death by parents, Andrew and Marie; and Virginia. Survived by wife, Jeanette; children, Kim, and Brian (Sandra); grandchildren, Andrew and Tyler; nieces, nephews, and other extended family. Celebration of Jerry’s Life will be on Wednesday, September 5, 2018 from 4:30PM to 8PM, with a service at 5:30PM, at the Linwood Community Center, 22817 Typo Creek Dr. NE, Stacy. Zippy’s Final Ride will begin at Mattson’s Funeral Home in Forest Lake. Motorcycles only to gather at 3:30, kickstands up at 3:50. You will then be greeted by family members at the Community Center. Private family interment at Linwood Cemetery on a later date.